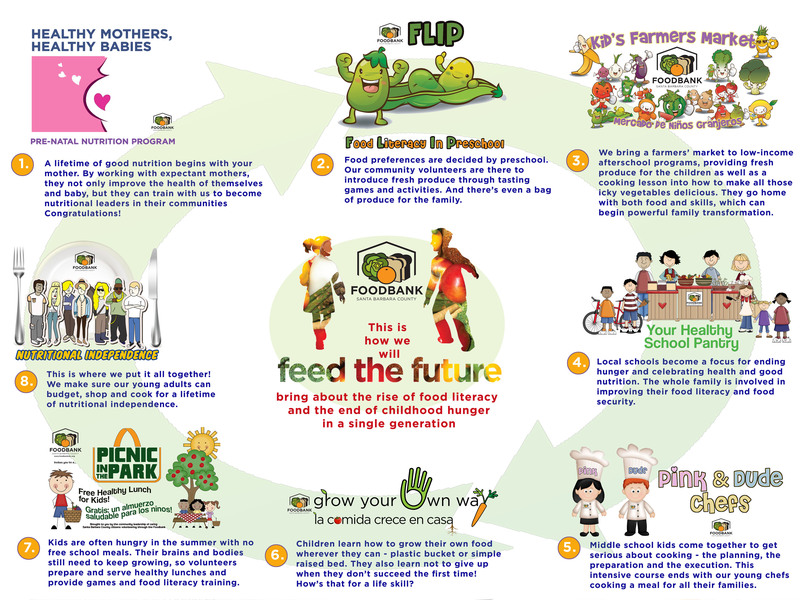 The illustration above shows our cycle of Feed the Future programs, designed to promote food literacy and bring about the end of childhood hunger in a single generation. On the other pages in the drag down menu at the top of the blog post are details of individual programs – two of which have already won national awards. Let’s face it, Google probably spent $5 million coming up with the logo for their Chrome browser. The least we could do was repurpose it for one of our presentations and give Larry and Sergey a little more real world bang for their buck. Uh-oh, what is that I hear overhead? The roar of their Gulfstream corporate jet delivering an injunction. You said you weren’t evil!!! Time was when having a mission was enough for a non-profit. They would trudge along, having successes in preventing things from getting worse in their field of service, but rarely making huge leaps forward in eradicating the societal challenge they were formed to engage with. This is perfectly legitimately the nature of some non-profits – we’re not going to eradicate foster children or neglected senior citizens – but for others it can induce a kind of long-term stasis. In some cases this can lead to stagnation. Programs in place because they’ve always been there – no measurement of the true impact in the community of what they were trying to achieve. I don’t mean to be a zealot or to denigrate the wonderful work that people do to transform individual lives with their love and attention. I am talking about the collective impact of the organization. Increasingly, successful nonprofits are embracing the concept of having a ‘destination.’ A finite place where they want to arrive at. Here is one example. People want to be involved in a cause that is moving forward and achieving something. They want tangible results. 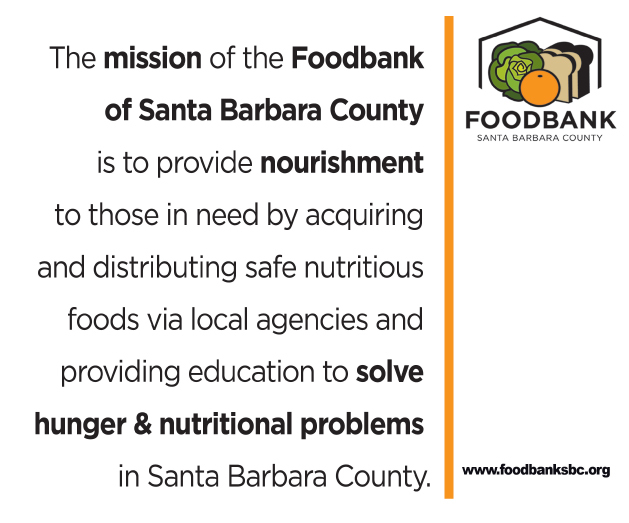 At the Foodbank of Santa Barbara County, we moved from a traditional mission statement (see below) which posited a kind of eternally unchanging situation. 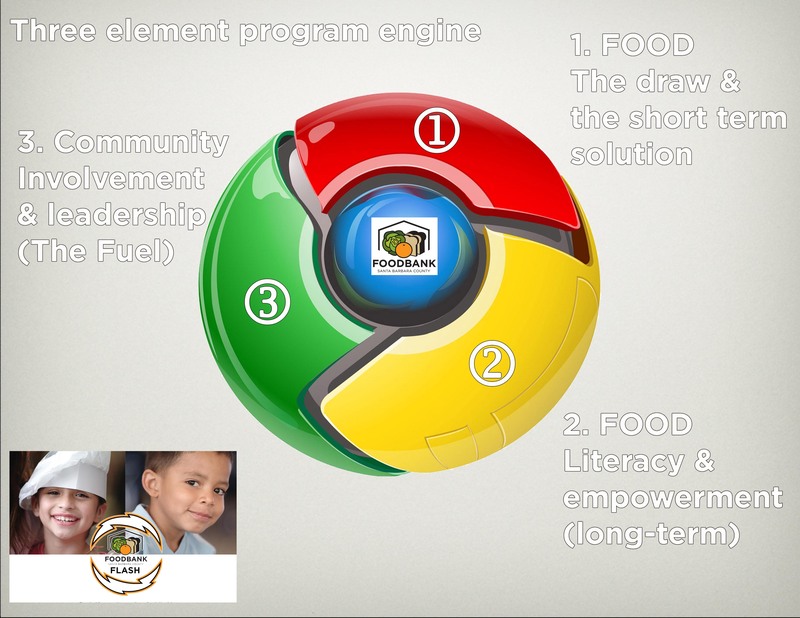 It became a question of parsing the old mission statements to find the key elements that would lead somewhere (like ‘nutrition’ and ‘solving’ hunger and nutrition problems’ and putting them in bold. So you can see the difference. 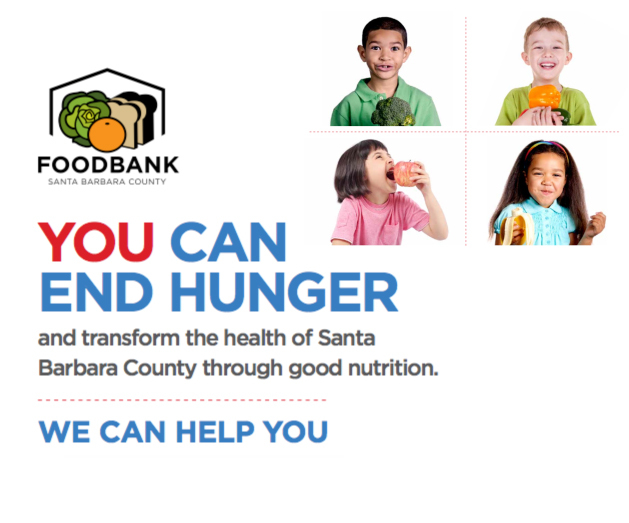 Here the emphasis is on the food bank as a tool of the community will. 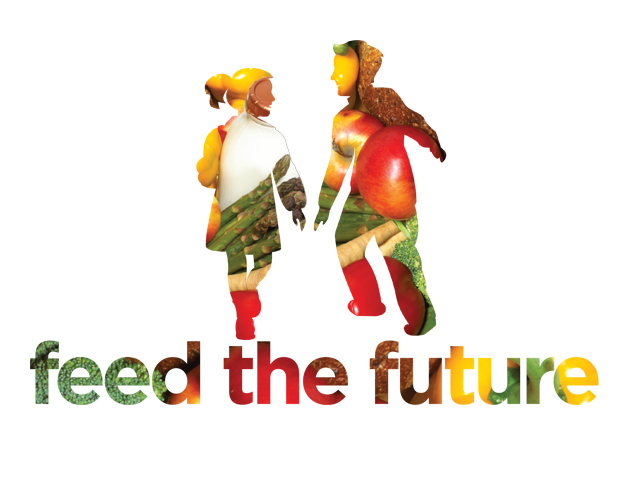 YOU can end hunger and WE can help you. Big difference. 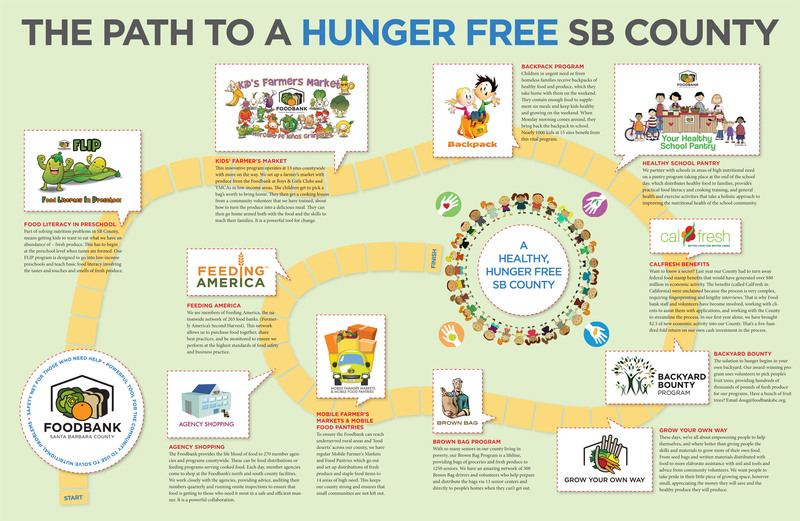 Also it posits a specific destination (The end of hunger), but it really goes far beyond it, and to the central subject of this blog. Using tools originally designed for hunger relief we can transform the health of the entire community. Most people get it and are far more energized by a positive expression of health and good nutrition, rather than focusing only on the insufficiency of hunger. Still, one old donor did complain that the kids in this picture looked too well-fed and we needed to find HUNGRIER looking kids. You can’t please everyone….